From my good friend Dr. Ed Peters, Canon Lawyer at his site http://www.canonlawblog.wordpress.com. I am not expressing my own opinion here, simply relaying Dr. Peter’s assessment. Two years ago I engaged in an extensive public discussion about whether New York Governor Andrew Cuomo, a Catholic, could, in light of his living arrangements, participate in holy Communion. I argued that he could not. As far as I know, those living arrangements remain unchanged, but, it appears that Cuomo has, since that discussion, respectfully refrained from approaching for holy Communion. In this regard, at least, the governor is not aggravating his conflicts with Catholic belief and discipline. 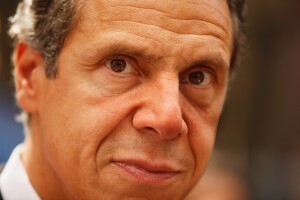 But I also warned then that the ecclesiastical consequences of Cuomo’s pro-abortion activism must eventually be faced. That day seems rapidly to be approaching. New York is the abortion capital of America. Sadly, that seems not enough for Gov. Cuomo who is now pushing an abortion bill that, according to the New York Catholic Conference, defies not only public opinion but common sense itself. Cuomo’s legislation, it seems, would sweep away virtually every remaining restriction on the slaughter of pre-born babies—as thin as those restrictions are—and further erode the crumbling ability of parents, health care institutions, and taxpayers to curb the killing or at least to avoid complicity in the carnage. I am, frankly, dumbfounded at what seems little less than a lust for babies’ blood here, but, whatever demons drive so many prominent political figures to embrace anything advancing abortion, this post deals with a different issue.